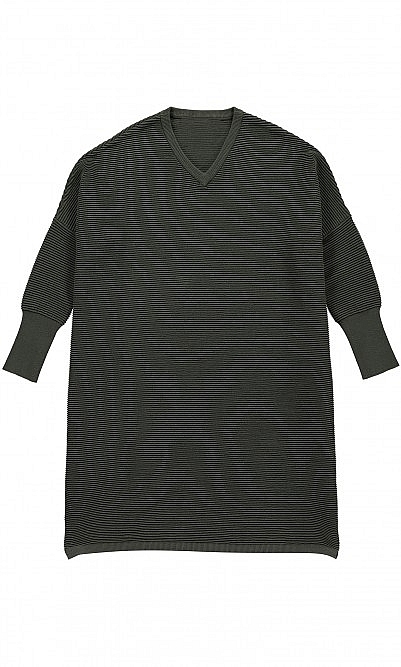 Easy dress in a horizontal ribbed knit in a khaki green colour. The oversized cut and dipped hem are offset with narrow sleeves, deep cuffs and a v neck. L105-110cm.